If interested in Ranger, please contact us by email…and we can work that separate from the auction. 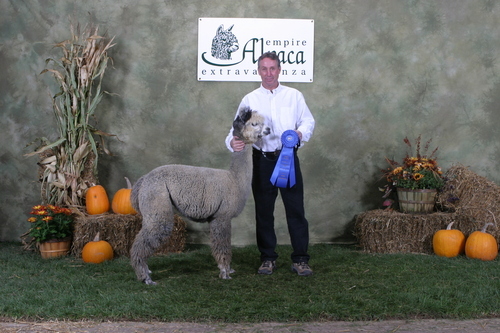 He is "A.L.Paca’s Ranger", A beautiful and powerful rose grey male herdsire with solid confirmation, a great head, and density, which are the qualities of his Sire, "Request The Best", with 3 AOBA National Championships to his credit, Cisco Kid, El Gris. 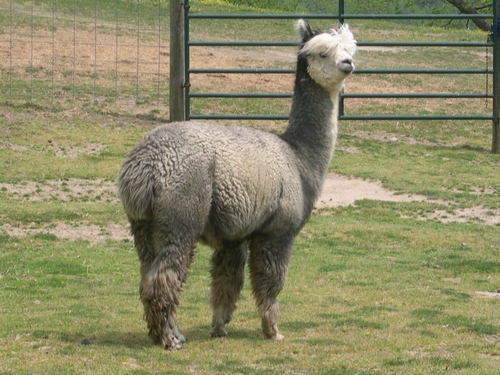 His Dam was a Chilean import owned by NWA. Ranger is a proven herdsire and always ready to breed. He is an extermely gentle male on halter, and is very easy to handle…despite his size. 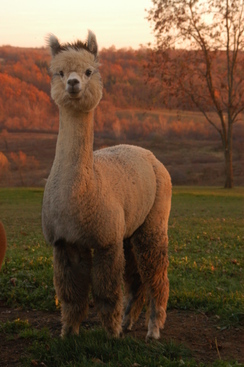 He can add some beautiful crias to your herd and is usually always ready to work for his keep. Check out his pictures and see for yourself what an eye catcher he is. Selling Ranger is a difficult choice, and we will only accept offers that allow breedbacks with him. Ranger has been our big boy on the farm for a long time, and most of my girls have already been bred with him. We have 7 other juniors coming up in the ranks and need to make additional space for them. ***We would be willing to sell 1/2 interest in Ranger as well. So, if your not sure you want a full time Sire, contact us and enjoy the benefits of part time ownership or we can work a deal that will best fit your needs on your farm. A Win - Win for everyone!